Welcome to the setup page for your bot. Here you will learn how to make your bot function correctly. Please pay close attention to the pictures. 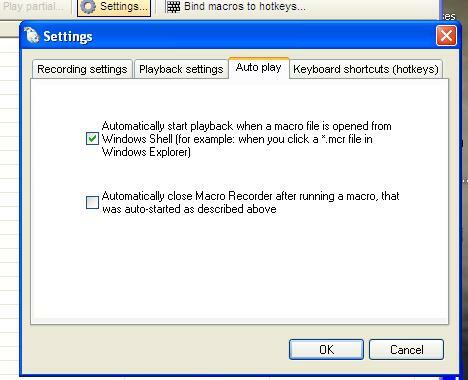 Open Marco Recorder and bring up settings. Click playback potions and change the replay number to 0. This keeps the bot going and going. 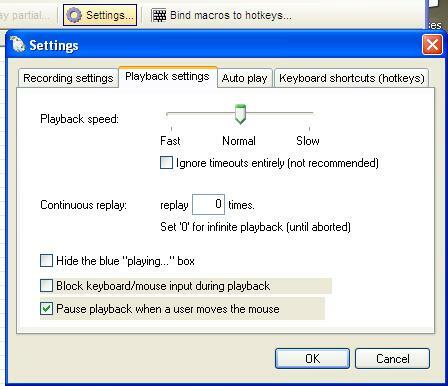 Next, click auto play and check the first box. The second box is usless unless you JUST want to run the bot 50 times, or whatever. Next go to keyboard shotrcuts. Here you can set hotkeys for your bot. 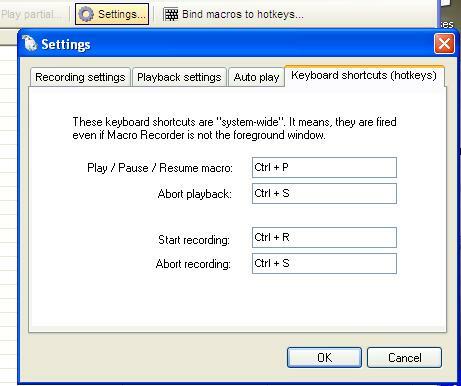 If your computer is like mine, it does not have scroll lock. That is why you might want to change it. You do not need to worry about recording unless you have a job at RXbots. Thank you and happy botting!